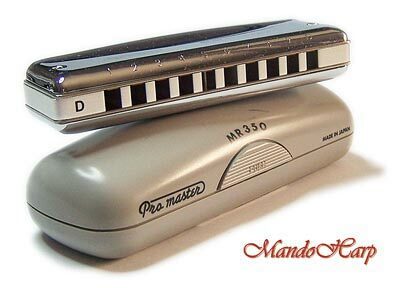 The new line of Suzuki Harmonicas incorporate the latest in technology and design features to give the player a whole new world of musical expression. 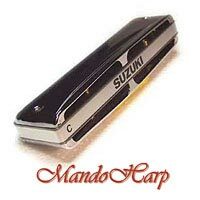 All Suzuki Harmonicas feature laser reed tuning with specially developed reeds that produce the widest choice of sound timbres within any harmonica line. 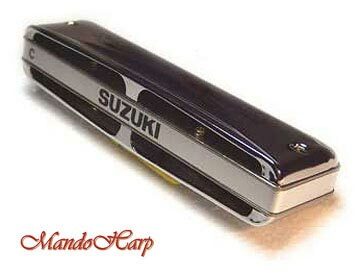 Suzuki designed some models with an all new machined alloy body that not only controls expansion due to heat and moisture, but works to amplify and project the harmonica sound qualities. 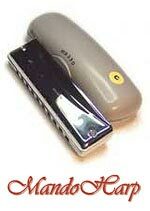 "We are proud to offer the best professional harmonica you have ever played! 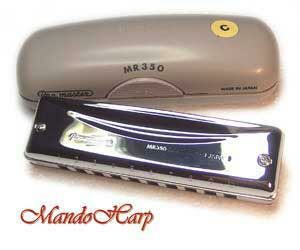 Consider the machined Phosphor Bronze reed plates (replaceable) or the computer-aided laser cut, tuned and bendable reed system and the satin anodized, milled, billet aluminum alloy comb that holds it all together. 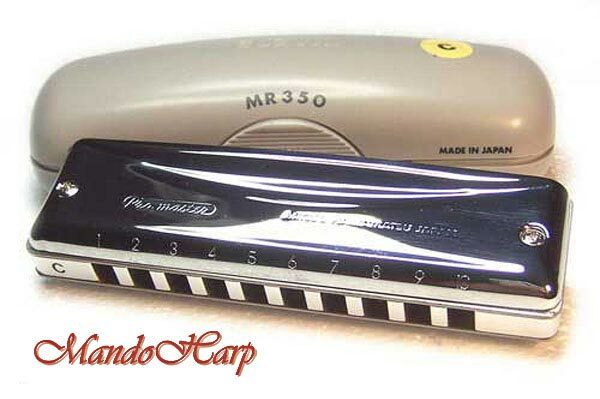 All these cutting edge components combine to produce an instrument unparalleled in the industry. 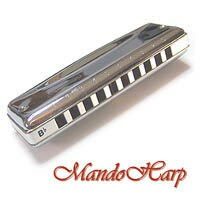 The ergonomically designed, polished stainless steel reed covers provide maximum playing comfort while the inner components produce the rich tones and clarity so sought after by professional players. 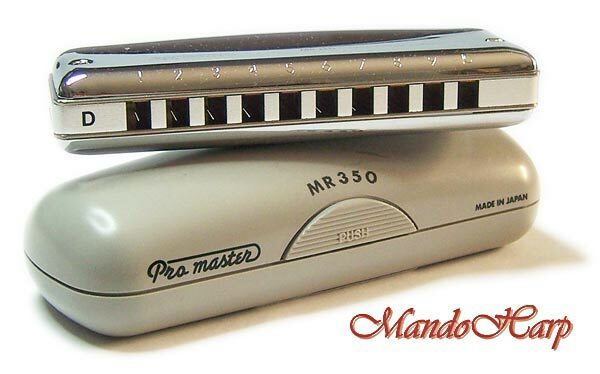 Once you play a Promaster, you won't want to put it down. 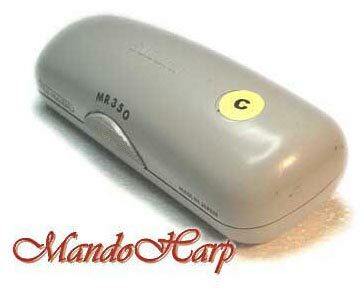 Even the soft lined, hard shell carrying case is specially designed for comfort and protection." 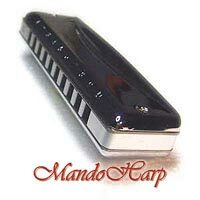 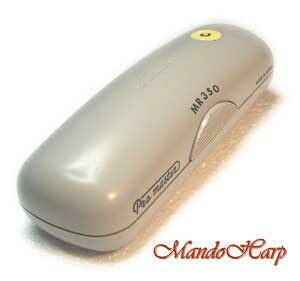 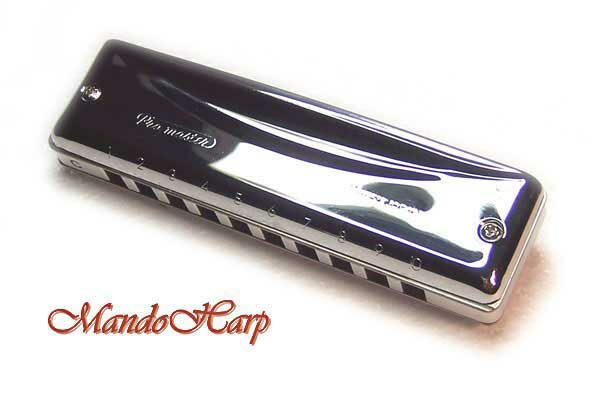 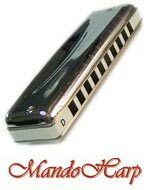 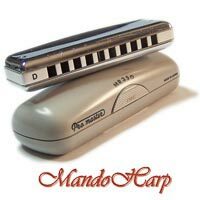 All MandoHarp Harmonicas are covered by our Free 6-Month Warranty. 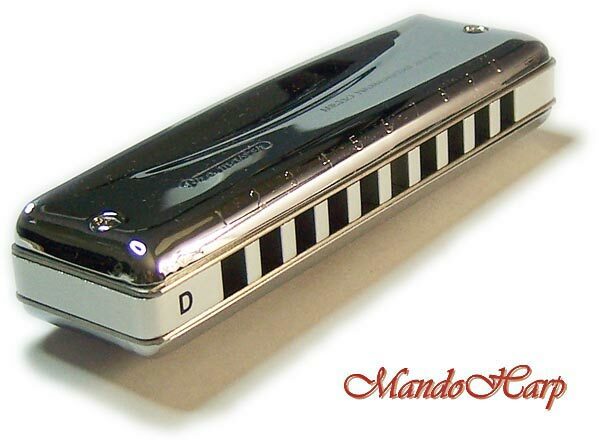 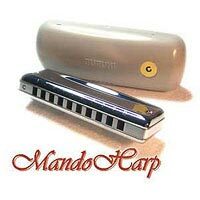 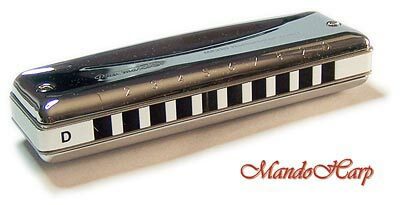 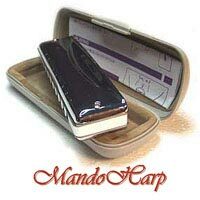 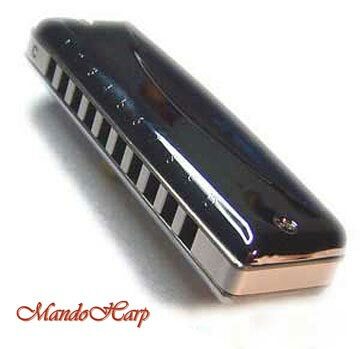 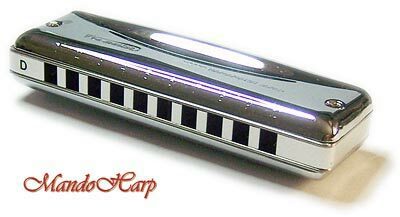 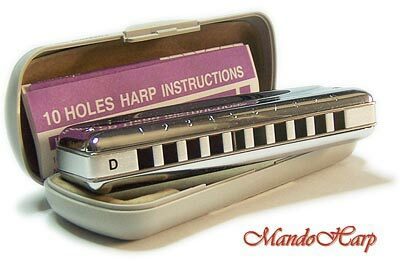 See more great Harmonicas at our MandoHarp Harmonica Index. 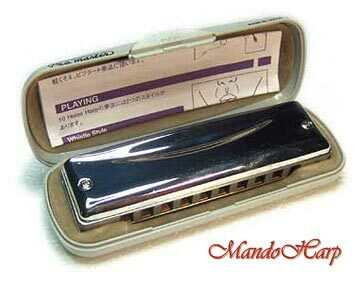 This finely designed and manufactured harmonica is in the key of your choice from those listed above. 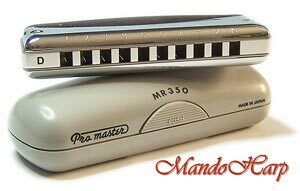 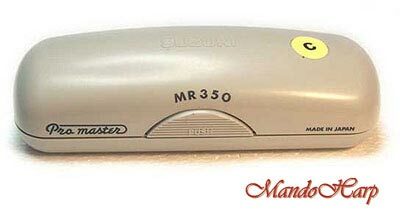 The MR-350 Promaster is available in all major keys. 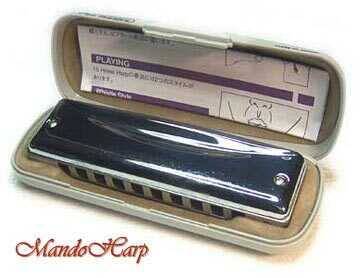 Other models and keys can be accessed from our Harmonica Index..